The first Pennsylvania National Horse Show was held at the Pennsylvania Farm Show Complex in 1946. It was a 4 day show with 226 horses entered and benefited the Harrisburg Kiwanis Youth Foundation. International teams competed at Harrisburg from 1948 until 1972. In 1950 the show was lengthened to 7 days, in 1962 to 8 days, in 1970 to 9 days and in 1982 to 10 days - which it is today. In the fifties and sixties, the show was a major social event in Harrisburg and the Kiwanis volunteers wore tuxedos as they sold tickets and programs. Arthur Godfrey televised - live nationwide from his horse Goldie at the show in 1955 and 1956. The Harrisburg Kiwanis has been a part of every show since the beginning, selling ads, programs and tickets. A portion of the profits from the show goes to the Harrisburg Kiwanis Youth Foundation. To date, over 1.5 million dollars has gone back to the youth of Central Pennsylvania thanks to this partnership. Formal dress may be gone, but the show has grown in stature and prestige hosting ten national championships. 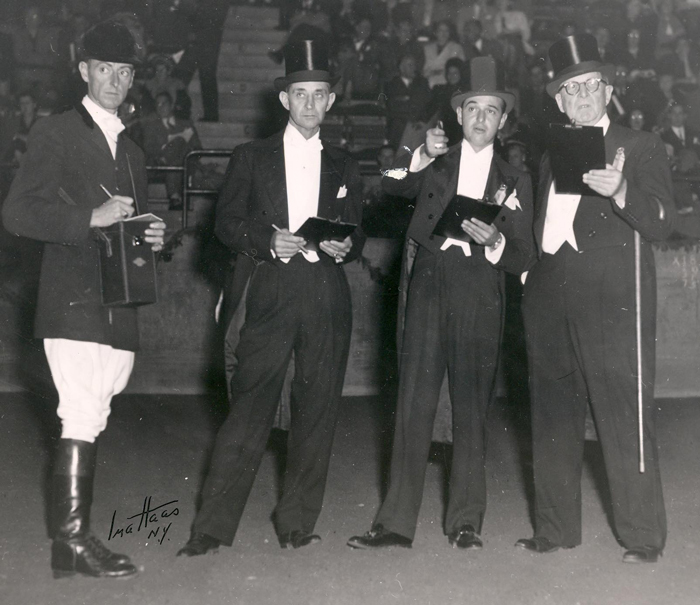 The goal of the Pennsylvania National Horse Show Association is to keep this show one of the premier national sporting events in the United States, by not just getting bigger, but always getting better and to remain dedicated to the horsemen while engaging and educating the audience. As one of the largest indoor Horse Shows in the United States, the Pennsylvania National Horse Show offers sponsors excellent exposure to exhibitors from around the world as well as to spectators from the mid Atlantic region. The community of Harrisburg also benefits from the Pennsylvania National Horse Show realizing what is estimated as an economic impact of over $44 million dollars annually.